Once preheated the oven to 220°C I melted the chocolate and the butter using a bain marie as it’s my favorite way to do it but you can definitely go for microwaves if you prefer, but always remember to whisk often both cases. I then added the egg and egg yolk, mixed, added flour, white sugar, salt and coffee and mixed well again and again until I had a very smooth mixture. 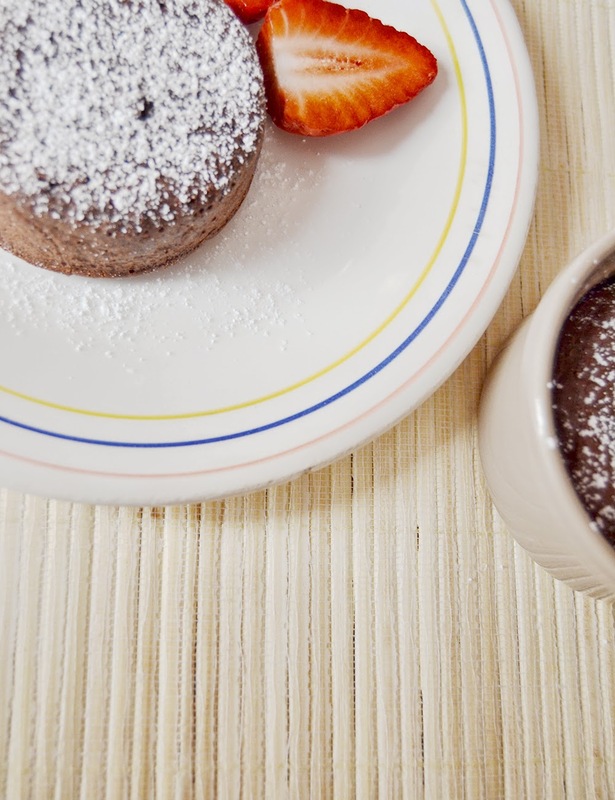 I then buttered two of my super cute (and cheap) Emile Henry Ceramic Ramekins and threw in my chocolate mixture in equal parts. Placed them on a baking sheet, they were ready to be baked in the oven for around 10/12 minutes (and not more). 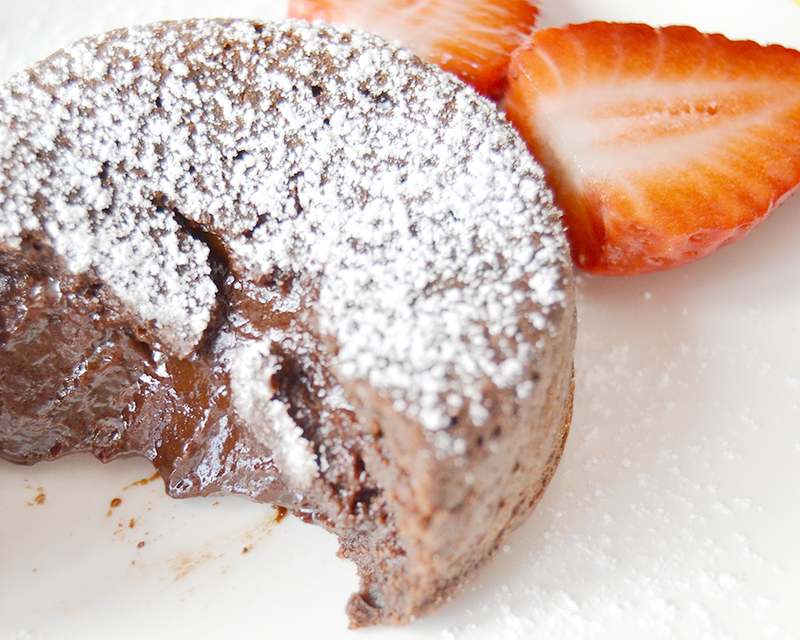 It’s important to not overcook them as our lava cakes are meant to have a soft and liquid-y heart. Once baked you can remove them from the oven and leave them cool for a few minutes or until the ramekins can be handled and then reverse it on a cute little plate. 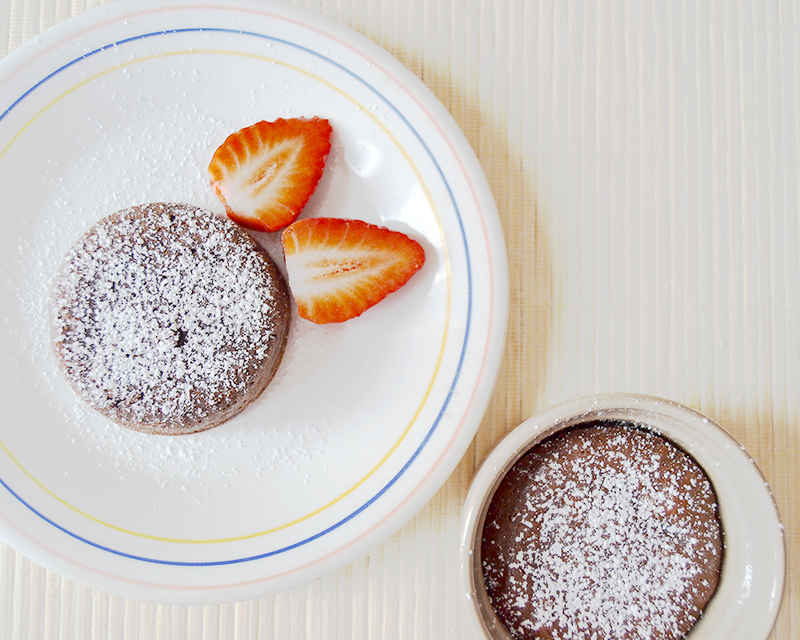 Using the icing sugar and the strawberries try to embellish your dessert – I cut a strawberry in half and placed it around my little lava cake and sprinkled a bit of icing sugar on top. When you’ll cut it with a spoon, it will reveal a soft and delicious chocolate heart which will supply the perfect amount of sweetness in your weekend. This dessert is super delicious and can be served in special occasions to friends, family or lover to leave them all super impressed even if it’s just the easiest and quickest dessert to prepare and bake! 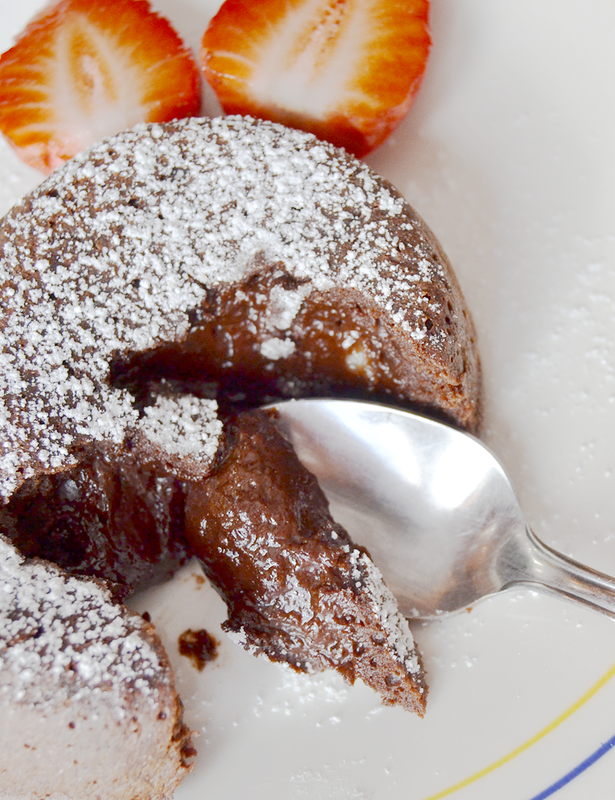 Will you try my lava cake’s recipe?